Malcolm Lees enlisted in the British Royal Air Force in the early 1950s and retired in the late 1960s. In 1962 he received a posting to a RAF station in the county of Wiltshire, England, which he declined to name, and worked in the prestigious and secretive world of intelligence gathering. Most of the work, Lees explained, was routine and even mundane and he laughed heartily at the idea, spouted by many, that intelligence work was a glamorous one full of James Bond-style escapades. Nevertheless, Lees said, there was one aspect of his career that really was stranger than fiction. Early one September morning in 1962, a call came into the base from someone who had seen a UFO hovering in the vicinity of the ancient standing-stones in the historic English village of Avebury, Wiltshire. and rooted to the spot, she watched as it closed in on her at a height of about 12 feet. The ball then stopped 15 feet or so from her, and small amounts of what looked like liquid metal slowly and silently dripped from it to the ground. Then, in an instant, the ball exploded in a bright, white flash. For a moment she was blinded by its intensity and instinctively fell to her knees. When her eyes cleared, however, she was faced with a horrific sight. The ball of light had gone, but on the ground in front of her was what she could only describe as a monstrous, writhing worm. The creature, she said, was about five feet long, perhaps eight or nine inches thick, and its skin was milk-white. As she slowly rose to her feet, the creature’s head turned suddenly in her direction and two bulging eyes opened. When it began to move unsteadily towards her in a caterpillar-like fashion, she emitted a hysterical scream and fled the scene. Rushing back home, she slammed the door shut and frantically called the airbase, after having been directed to them by the less-than-impressed local police. 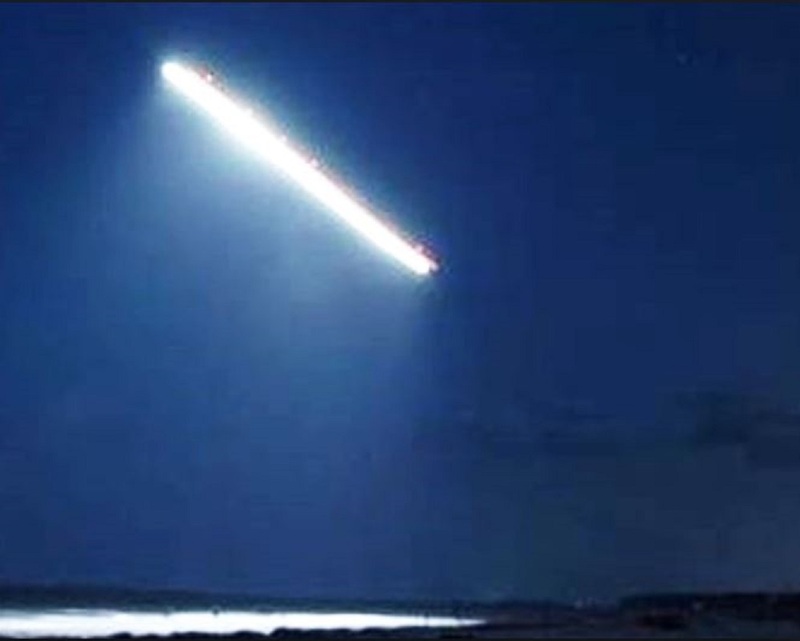 The Provost and Security Services were used to dealing with UFO reports, said Lees, and a friend of his in the P&SS was dispatched early the next day to interview the woman – amid much hilarity on the part of his colleagues, all of whom thought that the story was someone’s idea of a joke. On returning, however, Lees’ friend and colleague had a very serious and grim look on his face, and informed him guardedly that whatever had taken place, it was definitely no hoax. 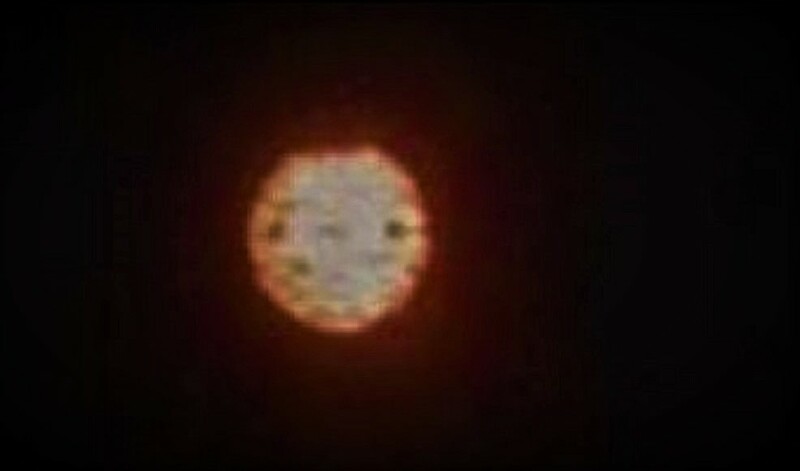 NOTE: The above orb is from Pigeon Lake Alberta Canada. In 1966, I was involved in an incident while stationed at Minot Air Force Base, North Dakota. I was told to never speak of the incident again, and also told that as far as I was concerned, “It Never Happened.” I was a Minuteman ICBM Launch Control Officer, a First Lieutenant, and a Deputy Missile Combat Crew Commander in a two man Launch Crew with my crew commander who held the rank of Major. I was attached to the Strategic Air Command, and part of the 742nd Strategic Missile Squadron, one of three squadrons of the 455th Strategic Missile Wing based at Minot. I held a Top Secret clearance, which was required for my job. 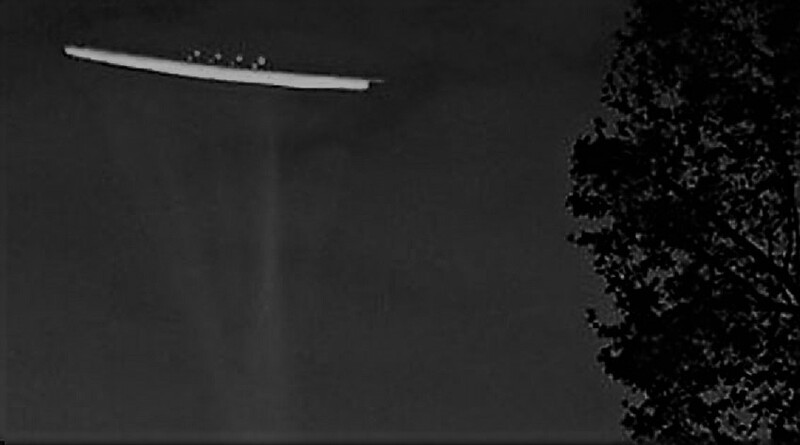 It all began one morning when I was watching TV while having breakfast, and I heard the local news announcer mention that some residents in the town of Mohall had seen strange lights overnight, which they attributed to a UFO. This caught my attention because I was scheduled for duty that morning at a Launch Control Facility, called November Flight, about 3 miles west of Mohall and about 37 miles north of Minot Air Force Base. I lived in the town of Minot at the time, and I drove to the airbase to attend the morning Pre-departure Briefing at Wing Headquarters, where all 15 missile crews would normally meet each day prior to “pulling alert duty” at their respective Launch Control Facilities. During the briefing, it was mentioned that some missiles at November Flight had gone “off alert” during the night, but no further information was provided. I immediately connected this to the news item that I had heard earlier in the morning regarding a possible UFO sighting near the town of Mohall. When the briefing was over, several of the launch crews seated near me commented about the news item, which they had also heard that morning, and there was speculation about a possible connection with November Flight. My crew commander had also heard the news item, and we were both anxious and curious about what we might find as we drove out to the Launch Control Facility. The usual procedure upon arrival was to inspect the grounds and building, but this time my commander immediately went to the security section of the building to debrief security personnel and guards. I entered the facility from the back door and then encountered the Site Manager, a Tech. Sergeant, who immediately took me into the “day room” and asked if I had been briefed on the previous night’s events. I said I hadn’t. We then proceeded toward the windows on the west side of the day room where he described to me the large object with flashing lights that had been hovering just outside the fence that night, and he spread his arms out in front of him to indicate its size. Based on his description, I estimated that the object may have been 80 to 100 feet wide and about 100 feet from the building, maybe a bit closer. I immediately asked if it had been a helicopter, and he said that it just hovered with no noise being heard, quite unlike the usual noisy helicopters heard from within the building. I also asked what the flashing lights were like, but he could not answer. They were unlike any he had ever seen; they were not like the usual beacon lights on planes, but something like a pulsating glow. He then said that the object, while hovering close to the ground, then glided to the right toward the North end of the building out of sight. The object then came into view from the security section of the facility, and hovered just behind and slightly to the right of the main gate, concealed partly by the large garage located within the fenced area to the right of the gate. This location put the object almost directly above the hardened Launch Control Capsule located 60 feet below ground. This was the Launch Crew Quarters and the Launch Control Center for the ten interconnected nuclear tipped ICBM missiles located 4 to 14 miles in all directions from the facility. Security personnel confirmed everything that the Site Manager had related to me. My commander and I then proceeded to take the elevator down to the Launch Control Center to relieve the two man officer crew below. After entering the capsule, our eyes were immediately transfixed on the Launch Control Console, which showed that all missiles were off alert and unlaunchable. The outgoing crew briefed us on the wild events that transpired overnight, and indicated that the missiles malfunctioned at the time the object was hovering directly above the capsule and next to the main gate. We speculated on the possibility of an EMF [ELECTROMAGNETIC FIELD ] pulse that might have created the situation. We had no doubt, however, that the 10 outlying nuclear tipped missiles of November Flight had been compromised, tampered with, and put out of commission by the object that had paid a visit. Normally, it was quite unusual to have even one missile down, except for maintenance, and Wing Headquarters was very proud of having more than 95% up time for all 150 missiles in the Wing. NOTE: The above image is my CGI. 20 minute large triangle no lights no noise only pulsing/pressure then segmented. Camping in wilderness 10 miles NW of Idaho City, ID., sleeping in tent in sleeping bag. At 1:17 am I woke up, feeling pressure pulsing sensation no noise just pressure. Weather was clear and in the high 40’s. I exited the tent to find out what was causing the pulsing pressure sensations. I looked all over the small valley and saw nothing. It was dark but the moon was pretty bright almost full I was suspecting a earthquake, but then I noticed that there were no stars visible in the sky above the valley, and the moon was visible through the break in the trees to my left. I could see stars all around the valley sky except for the area along Elk Creek where I was camped. The entire valley was in a shadow and the starlight was being blocked. 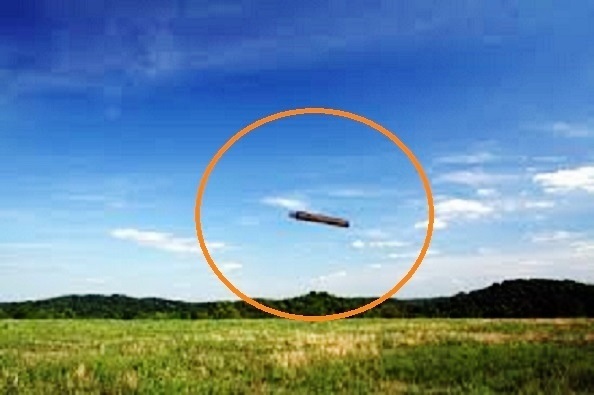 I could not make out by what as the object was so large that its span reached from the top of the hill on my left to the top of the hill on my right a distance of about 1500 feet, and may have reached further. 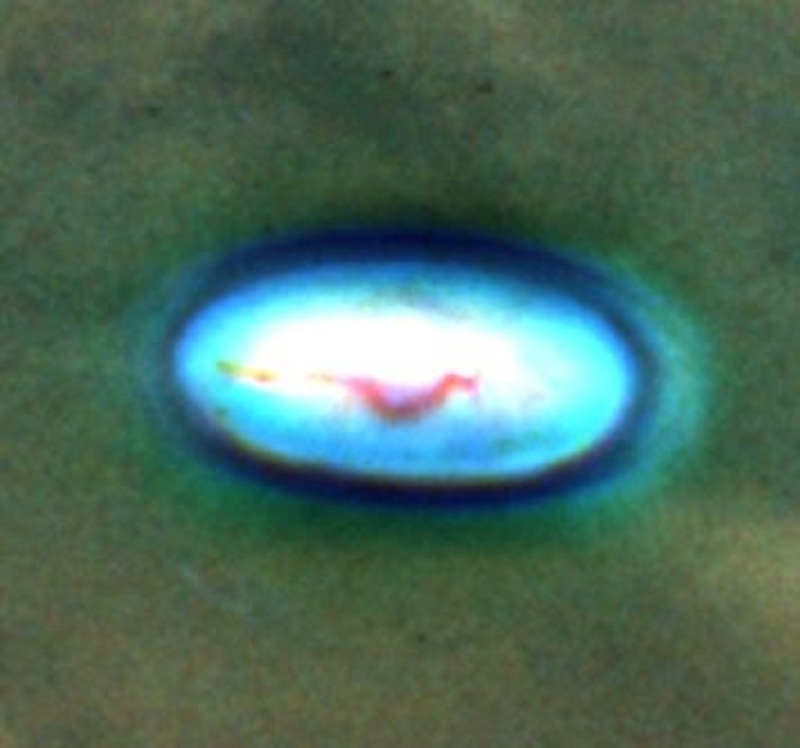 I could not detect its shape until it stopped pulsing and started to lift up then I could tell its shape. 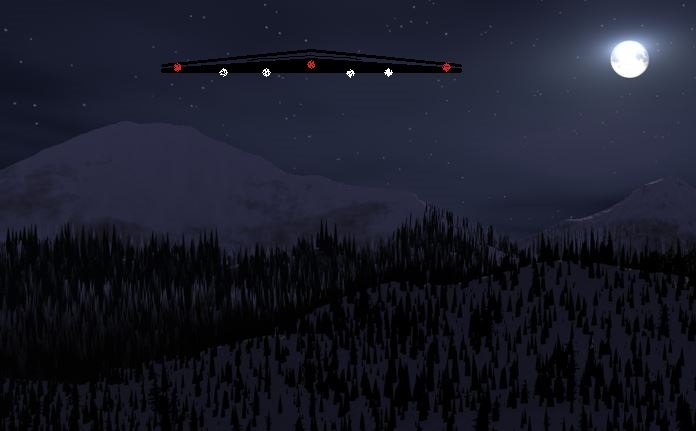 It was dark no lights no visible windows or ports, while it was pulsing it was about 2000 feet above the forest, it rose without a sound to about 5 to 6 thousand feet about me, then segmented into several identical shapes and was gone. I waited for several more minutes but nothing else appeared. The entire episode lasted about 20 minutes. Observer is a retired US Navy Radar operator. 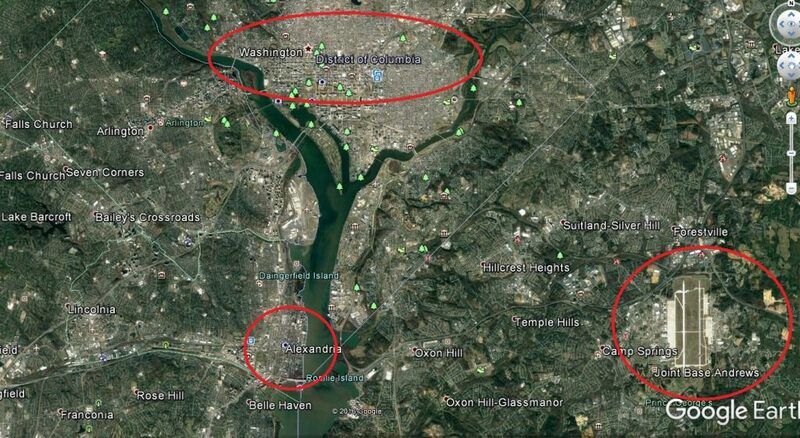 Also worked as Civilian Radar ATC for US Air Force. On the night of 5/27/16, between the times of 11:05 and 11:11 pm, my co-worker called me out of the home we work at to point out a weird object flying in the sky that was traveling from the west, headed east, and finally came to rest positioned somewhere over or near Selfridge Air Force base. 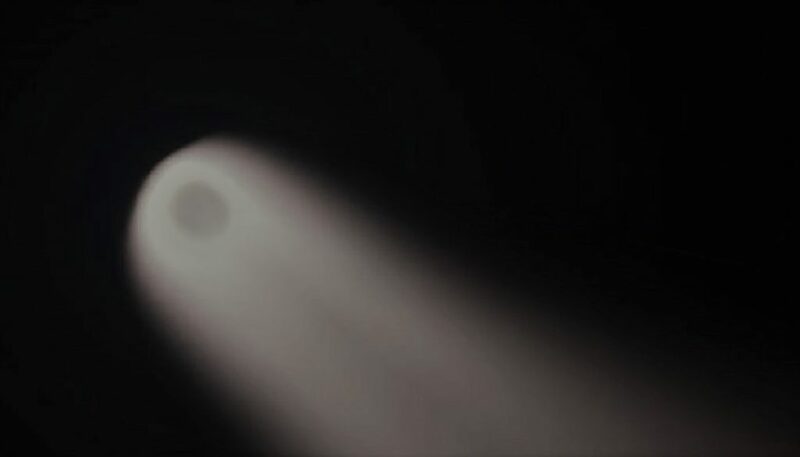 When the object first appeared it was very blue and very brightly illuminated, the lights weren’t flickering or dimming like in typical aircraft. This was not like any star or planet I have ever seen in the sky before. 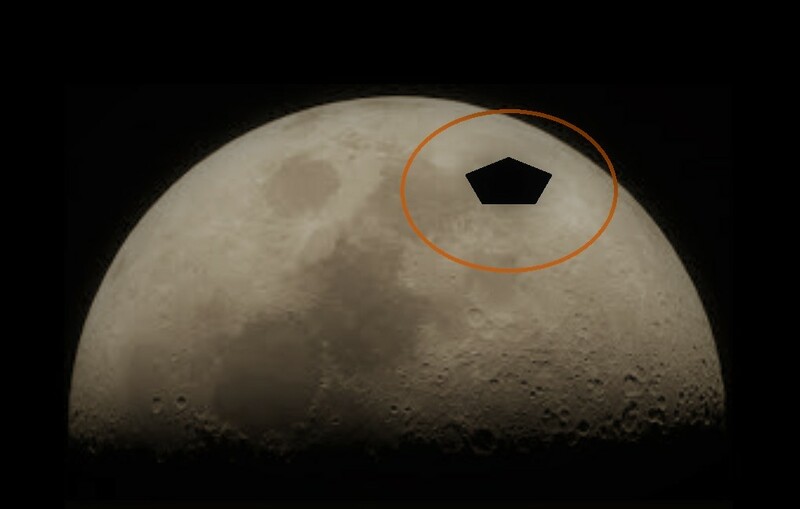 The object was slightly bigger in appearance than the North Star, and emitted no sounds, and moved very smoothly, until it came to a complete stop northeast of where we were looking and positioned. 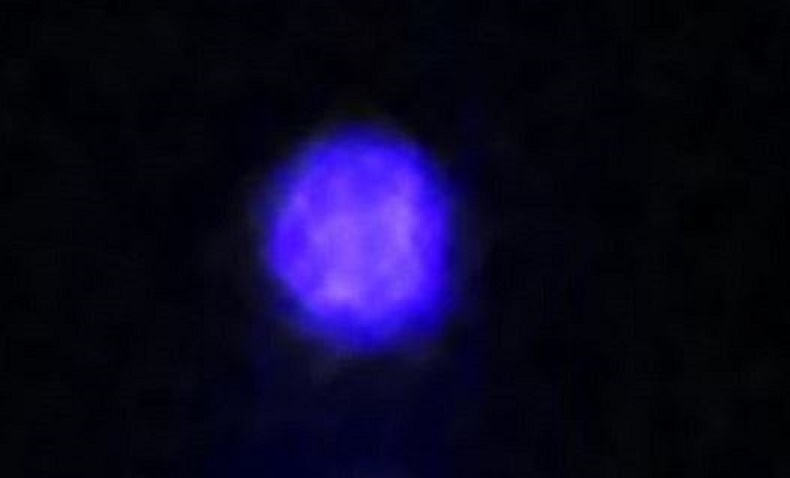 When the object came to a stop about 3 to 4 smaller orb like blue lights came out of the bottom of the object and hovered there for about 1 minute, before the orbs disappeared back into the object and the object turned solid bright vibrant red. 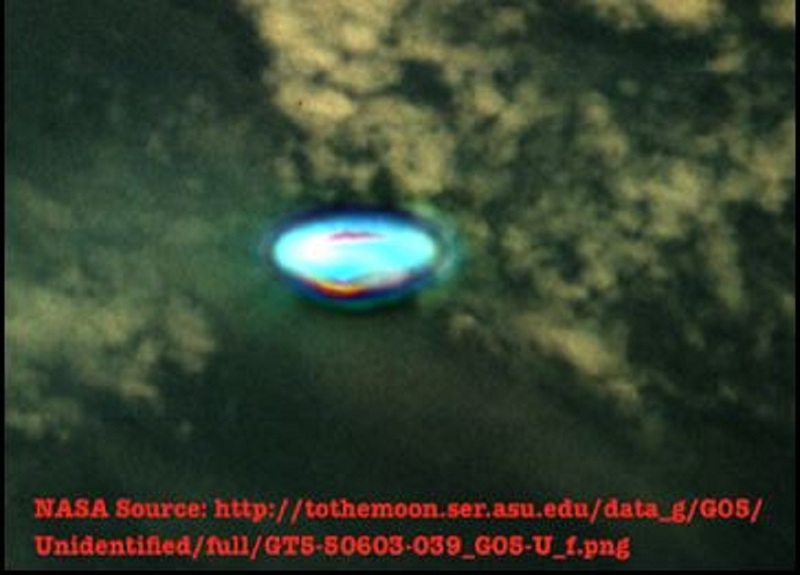 The object remained still in the sky for about another 2 minutes, and then started to lower itself to the ground. It continued to descend to the ground while remaining bright solid red, until it disappeared out of our visual field. The whole time the object remained the same size and the lights were always visible to my coworker and me. This event lasted a total of 6 minutes. The house we are located at is in Eastpointe, Michigan, at 9 Mile Rd., just west of Hayes. 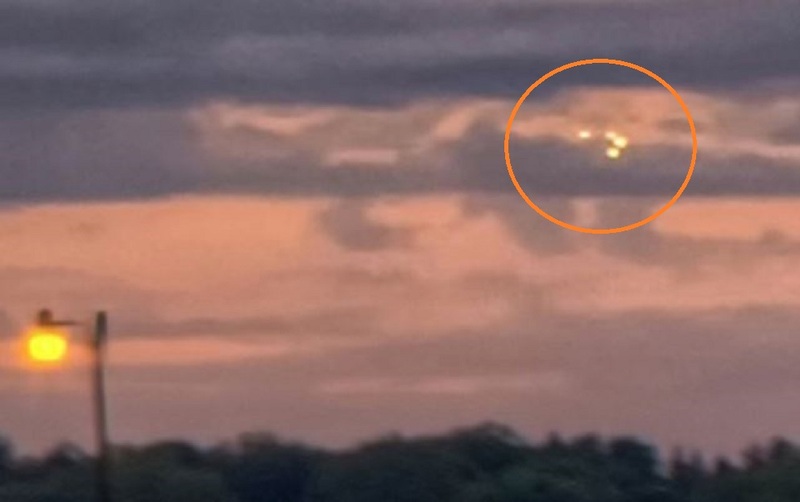 The object was viewed moving just north of us, probably about 8-10 miles away, towards the Harrison Township/Mount Clemens area. This is the approximate location that Selfridge Air Force Base is situated compared to where we are. The weather is clear and cloud cover is almost none. It is not raining and there are hardly any stars visible, so this object really stuck out. I am not sure the altitude of the object but I do know that while my co-worker and I were viewing this event, the object was positioned between two telephone poles, and was about 3 feet above the wire that crosses between the poles. My best guess would be that this object was flying at the elevation of about 20,000 feet to 25,000 feet in the air. It wasn’t as high as a plane would normally be seen flying. My co-worker attempted to get video footage while this whole thing was happening. We don’t know if the video came out, or is clear, because it was taken on his smart phone, and the screen is small and marred from overuse. I am working on transferring the video from his phone to my computer to see it we can upload it to get a better look to see if we were able to catch is even on film. I was in my living room while doing housework. I noticed a pulsating light down the hill, looked…. then looked again. 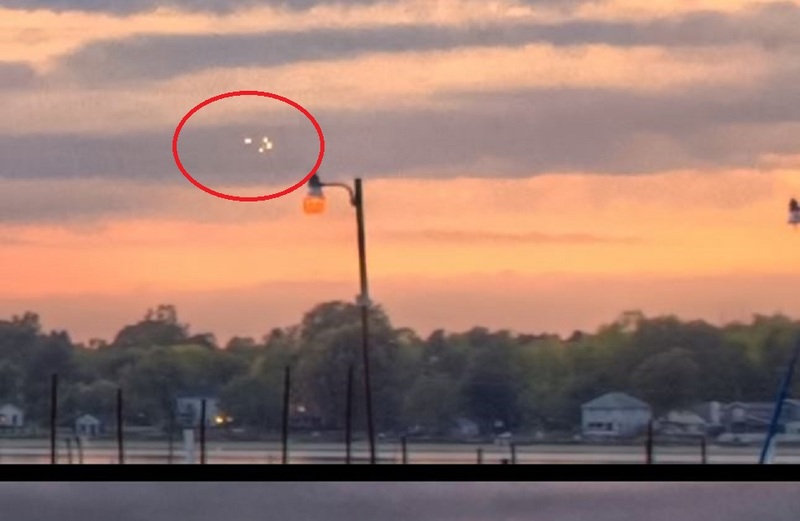 I saw a pencil-like definitely light-emitting “thing” hovering, then I noticed a second one the same, only it was pulsing slower. It was approximately 10 ft. off the ground. At that point I could see a wild deer looking up at the object, then grabbing a mouthful of food, then looking back up at the object. No rotor, no feet, no noise, definitely larger than a pencil, but pencil-like. 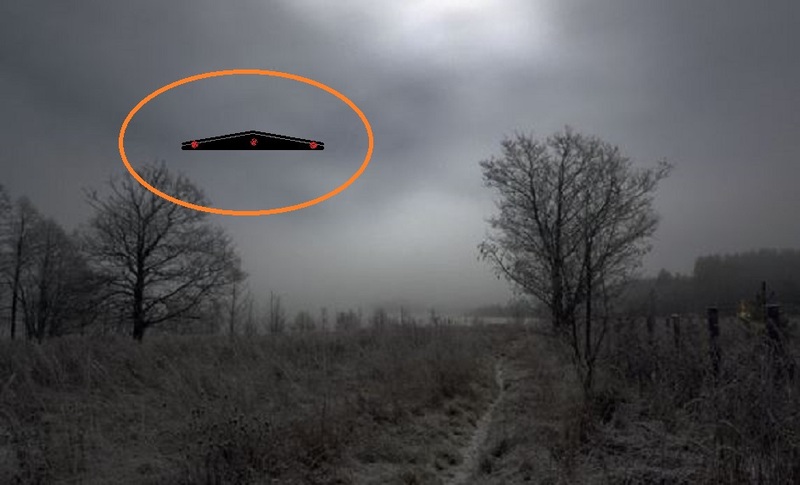 The second object was moving around a tree, first one side then the other, almost like it was trying to hide. I did not take a picture because there are a lot of trees and the object was small and would not have stood out in any picture, I could have taken. It was below me but I knew if I went outside, it would have left when I opened the door and made noise. At first I thought it was something hanging from the tree, but the longer I watched, the more I realized that I was actually looking at a UFO. The main object (the one not hiding) pulsated light the entire length, but not the whole thing at once, it was like small lights all along the thing pulsing. Same for the other unit. The deer didn’t seem to be bothered much by the item, but it definitely knew it was there as it kept looking at it. I was standing up, so I went to get a chair, then watched for an additional 5 to 7 minutes. My phone rang, I went to answer it, and when I came back, both objects were gone. I know what i saw, and even though this might not be a large sighting, I wanted to report it as it was such an odd shape (to me) one I wasn’t familiar with. 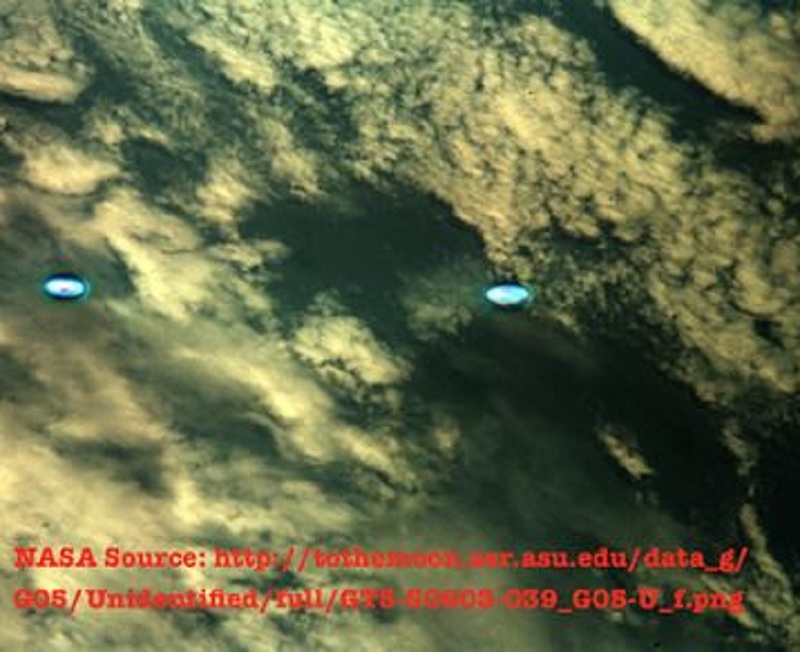 I called my family to tell them what I saw, as we have been familiar with UFOs our entire lifetime. I wondered if these things were ‘monitoring’ the deer somehow. I’m sure they did not know I was watching. The rate of the pulse of light on the ‘main’ object varied, first fast, then slower, then fast again. – NOTE: The above image is CGI. On Thursday July 14, 2016, at around 11:30 pm, I went outside for one last cigarette before bed. It was a beautiful clear night, so I was staring at the stars at the time of the sighting. I also would like to note I live in a lightly wooded rural area. I suddenly noticed a single bright object coming from the east heading west directly over my neighbors’ yard. 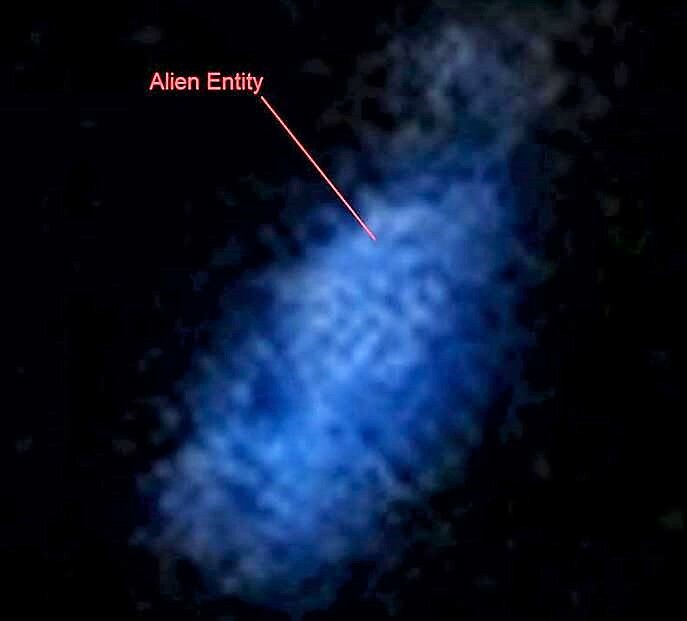 It appeared from behind a cluster of trees and passed over my neighbors’ house, before then disappearing behind a wooded area on the opposite side. There were no trees behind the house, so I had a good visibility. The house was roughly 80 yards from my porch. The distance between the two clusters of trees would be roughly about 100 yards. It was flying slightly below tree level, which I would guess to be about 30-40 ft. I lost sight of the object after it disappeared behind the trees, and out of my view. 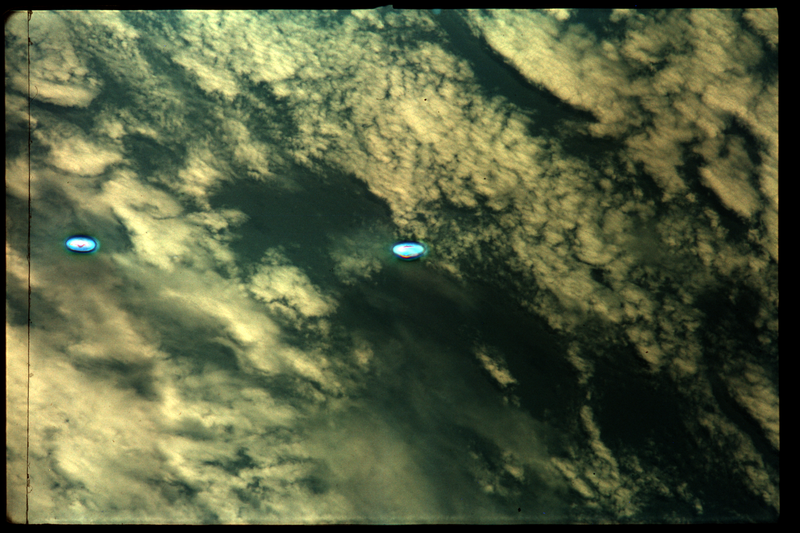 The object appeared to be a basketball size sphere, with a silver glow to it. It also left a trail behind it, also silver, that I estimated to extend roughly 7-8 ft behind the object. It wasn’t extremely bright, more dimly lit I would say. It did not illuminate the trees or the ground it passed over. It was also moving very quickly. If I would have blinked, I might have missed it. I would say it cleared 100 yards in about 3-4 seconds. I also did not notice any noise coming from the object. After the sighting, I was in shock over what I had just witnessed. What shocked me the most is how low to the ground it was flying. I hope someone may be able to shed some light as to what this object was. NOTE: The above image is CGI. A friend and I fished at bass tournament .between 3pm-9pm at the reservoir. The fishing picked up as tournament ended. So I convinced my friend to go back out for night bite. Somewhere around 11pm.we were fishing at the end of a penninsula facing the shore with a dark empty house on the land. It was very quit but I thought a helicopter was coming down in the cove behind the house where we couldn’t see but no noise. I gestered to my friend but when the lights dimmed we excused it as a vehicles lights must have come down the road and backed away but we never seen a vehicle. We continued fishing towards the shore in plain view of the house when I noticed what looked like children playing with flashlights moving them frantically in one of the rooms of the house through the windows. My fishing partner and I decided people must have come home to the house (even though we never seen a car or peple) and the power must be turned off in the house. We continued fishing and almost immediately although we never seen or heard anyone, there was an abnormally (7ft) tall human shaped figure with a smaller child size human shaped figure with the larger one looking like it was holding a flashlight looking for frogs and such at the waters edge. The odd thing was the way they were illuminating, almost like glow in the dark? But we dismissed that as the flashlight reflecting off the water back at them. Strangely.just then we noticed about 15 to 20 glowing shaped figures all on the shore facing us. All different sizes and we got freeked out because there was never any noise this whole time and we were close enough to have heard people walking in the brush near shore.just as we were getting scared and contimplating leaving, the flashlight the first big human figure was holding shined direct towards our boat. My partner said to start the motor and “lets get out of here! ” . As i was starting to set the choke and pull the cord of the small 5hp outboard motor, the flashlight levitated across 30-40 yards of water as I was keeping half an eye on it and starting the motor! When it turned over and I put it in gear, I looked up and the light was about 8 feet above our small boat! I never looked back and it was a short 3 minute ride back to the boat ramp. We hurried throwing the boat in the van and got inside the van in shock. All the dogs on the lake were barking loudly ( we never heard a dog before this) my friend made me promise not to tell anyone.and i haven’t…till now………. The above image is my CGI. 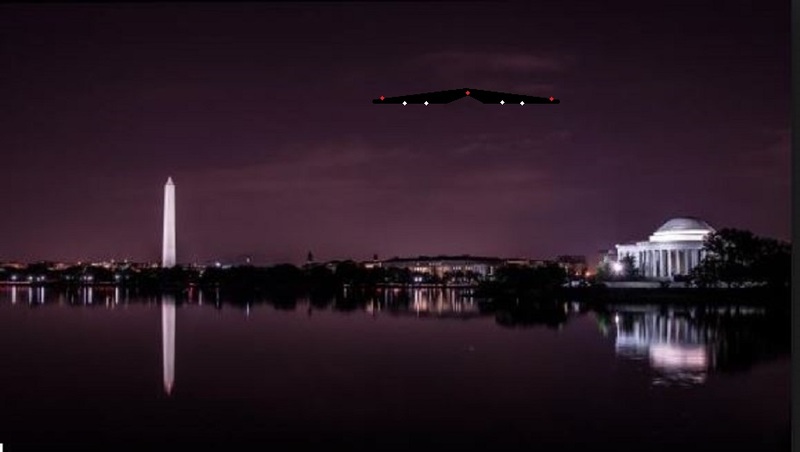 BOOMERANG ALIEN CRAFT SPOTTED NEAR WASHINGTON D.C.
Virginia witness at Alexandria reported watching a large, boomerang-shaped object with five, large, circle-shaped lights underneath crossing the sky silently over 500 feet, but under the cloud cover, according to testimony in Case 82719 from the Mutual UFO Network (MUFON) witness reporting database. The witness was outside sitting on his apartment deck smoking a cigar at 8:30 p.m. on March 19, 2017, when the incident occurred. 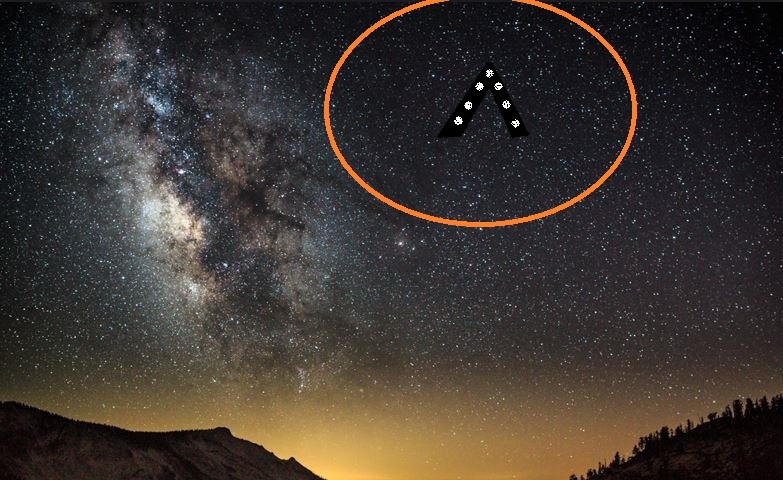 “I was facing in a southern direction, looking at the constellation Orion,” the witness stated.“My eyes were well adjusted to the night sky when some movement below Orion (but much closer my location) caught my eye.” An object in the sky caught his eye. 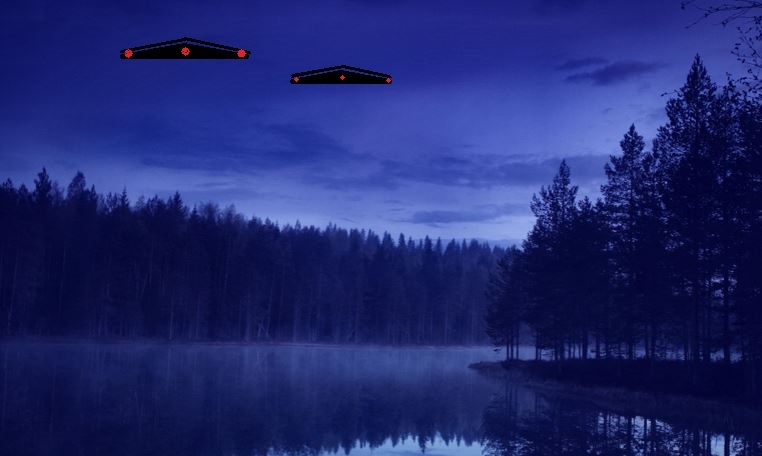 “I fixed my eyes on the movement, and realized it was a large, boomerang-shaped aircraft moving in a straight southern direction at fairly slow speed. 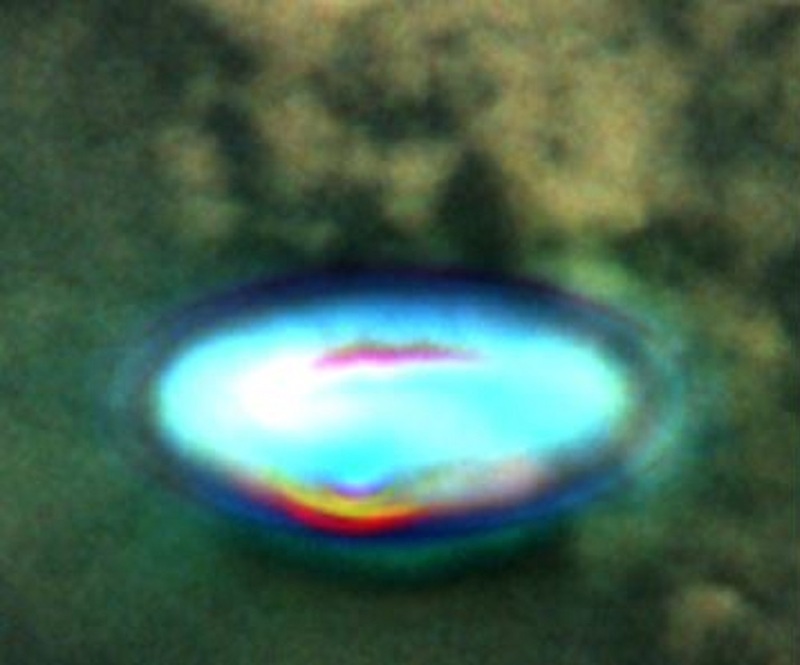 It had five large circles on the underside of the craft that were just a slightly different color than the craft itself. 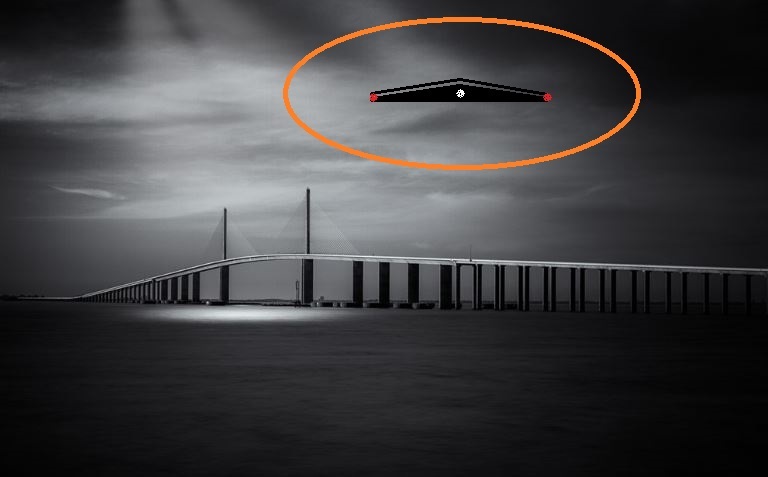 Very dark, charcoal gray circles against a black craft.” The witness said the object blended in with the night sky extremely well, like camouflage. “Without catching the movement at that exact moment I did, it would have been impossible to see. “I also served in the Air Force and Air National Guard in the past and have never seen an aircraft anything like the one I saw this evening. It was truly unbelievable.